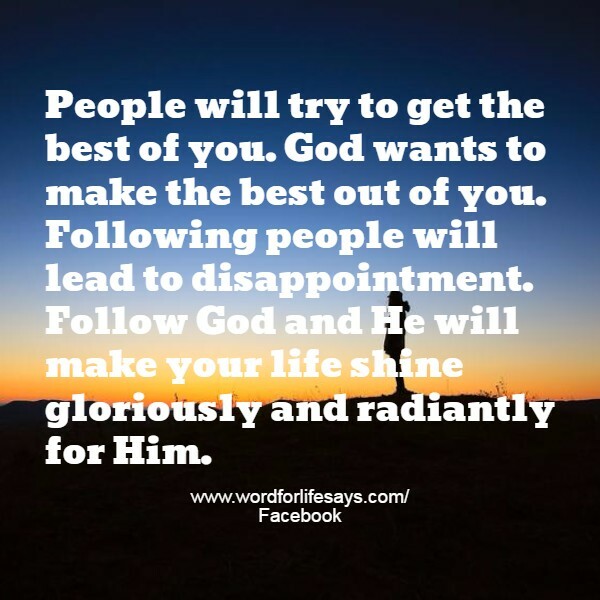 Follow God and He Will Make Your Life Shine! Follow God and He will make your life shine. We can either choose to be molded to the image of the world; to people’s ideas. Or, we can allow God free and open access of our being that He might make something gloriously wonderful out of this life He has given us.